This article reviews the latest weekly sentiment survey we conduct over on Twitter. The survey measures respondents’ equity and bond positioning/view – differentiating between whether the view is bullish or bearish for technical or fundamental reasoning. The latest results showed a sharp rebound in bullish sentiment across the board, and the move was consistent across equities (more bullish) and bonds (more bearish). 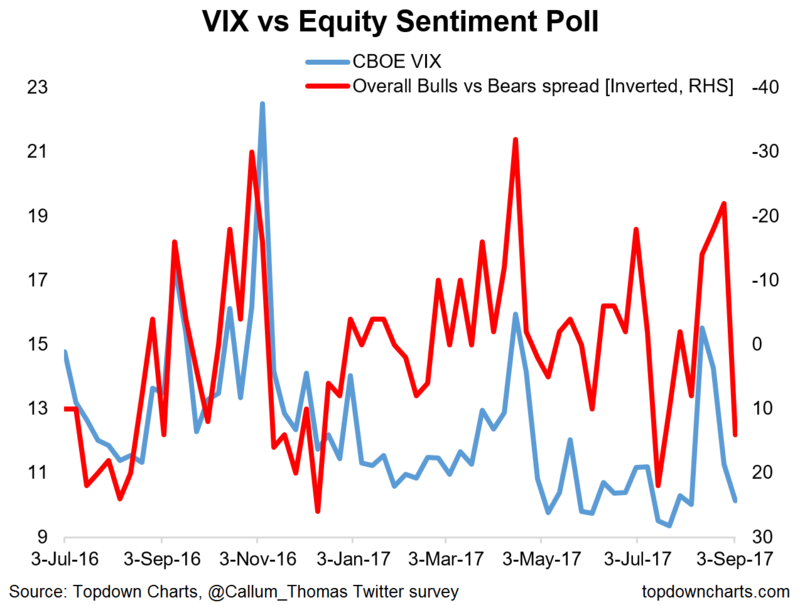 We also saw a big turnaround in the VIX vs sentiment chart from panic and despair last week, to optimism and complacency this week. While a lot of other factors were at play it goes to show the impact of price on sentiment, and just how easy it is to get big shifts in mood from relatively small price movements - which is probably to be expected after such an extended period of relative calm in the markets. 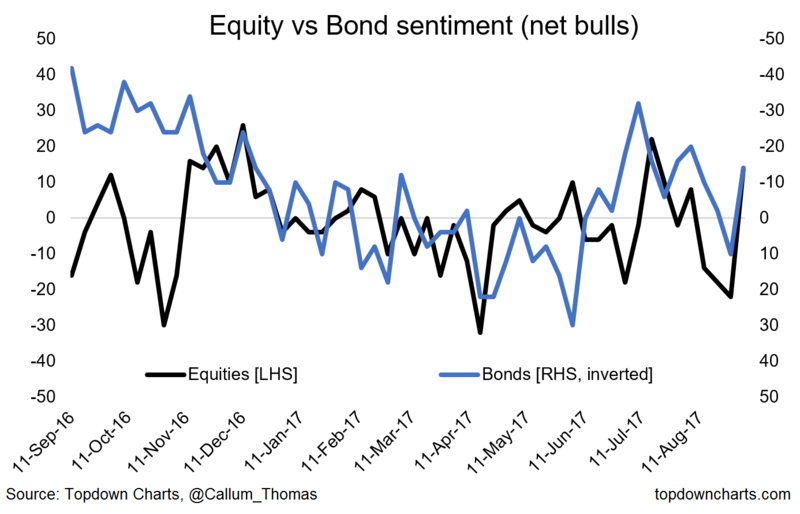 So with sentiment broadly improved on the week, and a deeper correction/selloff avoided for now, the sharp rebound in fundamentals sentiment along with the consistent move in equity+bond sentiment probably means the path of least resistance is up. I will muse in passing though, how it's interesting that investor sentiment is yet to be tested by a more meaningful market movement... anyway another week, another datapoint for this experimental series! Fundamental net-bulls rebounded to a YTD high, which is a positive sign as it reflects an underlying improvement in perception of the outlook, whereas the technical net-bulls have been swung more widely by price - as you would probably expect. The sharp shift in sentiment on the week was consistent across equities (more bullish) and bonds (more bearish), although the moves were sharper for equities. The sharp rebound in overall net bullish sentiment is more or less consistent with the plunge in the VIX, and at this point we've gone full circle from panic and despair back to optimism and complacency. For institutional grade insights on the global economics and asset allocation, and some more good charts you may want to subscribe to the Weekly Macro Themes. Click through for a trial.